Malayalam superstar Mammootty's biopic magnum opus historical film Pazhassi Raja, directed by ace director Hariharan and scripted by literary giant M.T. Vasudevan Nair, will mark the Malayalam debut of Oscar award winning sound engineer Resul Pookutty as a sound mixer. 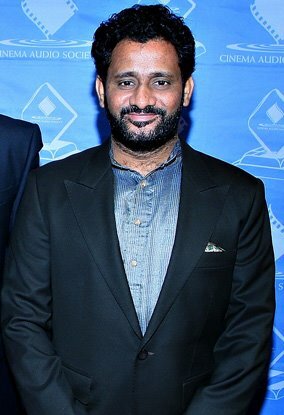 Resul Pookutty, who won the Academy Award for Best Sound Mixing for Slumdog Millionaire, voluntarily opted to work for the film, after watching Pazhassi Raja's post production work in Chennai. Resul is said to have been highly impressed by the film. To be simultaneously released in Malayalam, Tamil, Telugu and Hindi with the same title, Pazhassi Raja is scheduled to grace theatres on August 15. The movie, according to the makers, will be the biggest release ever in the history of Malayalam cinema with more than 200 prints. Mammootty plays the title role of legendary ruler and warrior Kerala Varma Pazhassi Raja, known to be the first freedom fighter of India, who took on the British in the forests of Malabar in the 18th century. The movie showcases his heroic fights against the British in the jungles of Wayanad during the 1790s. Popular Tamil-Telugu actor Suman plays the villain, Pazhaiveetan Chandu and Tamil actor Sarathkumar plays Edachena Kunkan, the chief lieutenant of Pazhassi Raja. This is Sarathkumar's first appearance in Malayalam. Thilakan dons the role of king Kurubranaad, who revolted and plotted against Pazhassi Raja. Jagathy Sreekumar dons the role of Kannara Menon, an employee of the British Government. Padmapriya and Kanihaa (also spelt Kanika) are the heroines. Produced by Gokulam Gopalan under the banner of Gokulam Films, Pazhassi Raja is made with the biggest-ever budget for a Malayalam movie, rumoured to be more than Rs. 20 crores. Manoj K. Jayan, Peter Handley Evans and Harry Key play pivotal roles in the film which has music by maestro Ilayaraja and songs penned by poet O.N.V. Kurup. Pazhassi raja is a gripping tale of a warrior prince of Malabar during 18th Century.Mammooty does the role of Pazhassi raja while Sarath Kumar and Manoj K. Jayan as warriors. Padmapriya takes on the role of a tribal girl.Ilayaraja scores music while the script has been penned by veteran M.T.Vasudevan Nair. Academy Award Winner Resul Pookutty will be working on sound editing. Find all this and more information is on FindNearYou.com. Its entertaining! You can view the Photo Video of the movie Pazhassi raja here : http://www.youtube.com/watch?v=nE2qOIuGB8E Cheers!